The Hayloft is a beautiful upper barn with original wooden beams and flooring and skylights that let in loads of natural light. It’s a relaxing and versatile space that is suitable for to a variety of activities, from yoga and fitness classes to meetings and training sessions. The Hayloft is available for hire year-round, with windows that open for a lovely breeze in the summer months and heaters to keep toasty over the winter. There is a small kitchen just below the Hayloft with free tea- and coffee-making facilities to enjoy during your visit. A toilet and shower block are also available for use next to the kitchen, which includes a fully wheelchair accessible toilet and shower. 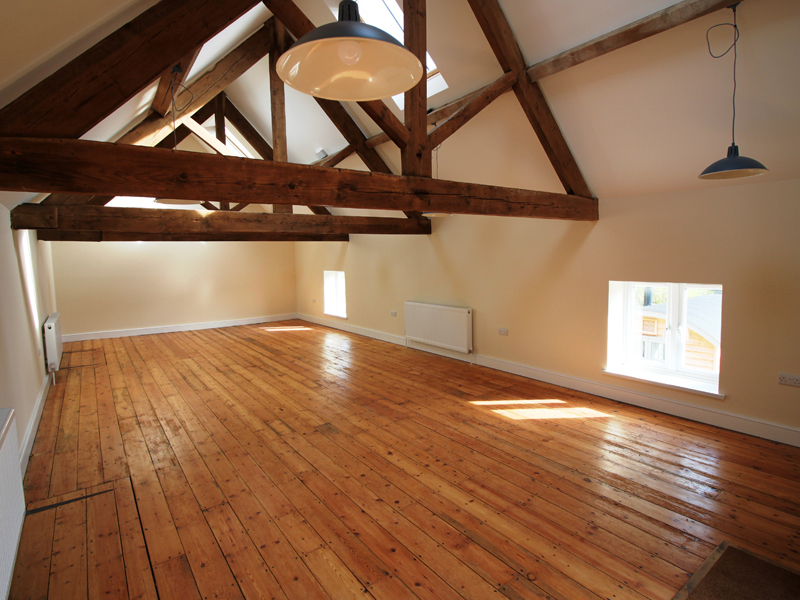 The Hayloft is an ideal space to practice yoga – a light and airy atmosphere which lends itself well to relaxation and mindfulness. This space is perfect for holding one-off yoga sessions, weekly or monthly yoga classes, and weekend yoga retreats. We can supply high-quality YogaMatters kits for your yoga class at no extra cost. With lovely natural scenery just around the corner, you can immerse yourself in yoga and then enjoy a lovely stroll through the fields and woodlands of Highway Hill. The Hayloft can be used to hold a variety of fitness activities, from private training sessions to medium-sized exercise classes. The exposed, low-hanging wooden beams can be used for hanging punching bags for boxing classes and pull-up ropes for strength and conditioning classes. There are electrical sockets and wifi available if you would like to play music during your sessions. We can supply yoga mats and blocks for you to use during your classes at no extra cost. 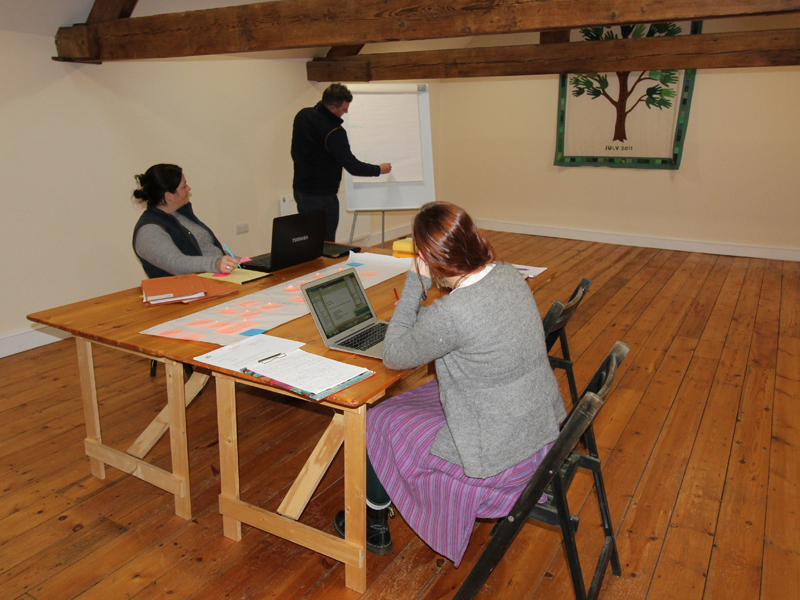 With its open-plan layout and natural lighting, the Hayloft provides a breathable and welcoming atmosphere to hold your business meetings, training sessions, or away days. The space can be set up as per your booking needs and requirements, with tables and chairs in either theatre or boardroom style, along with a flip chart on request. There are electrical sockets dotted around the Hayloft if you have multiple computers and work stations and access to wifi is also available. 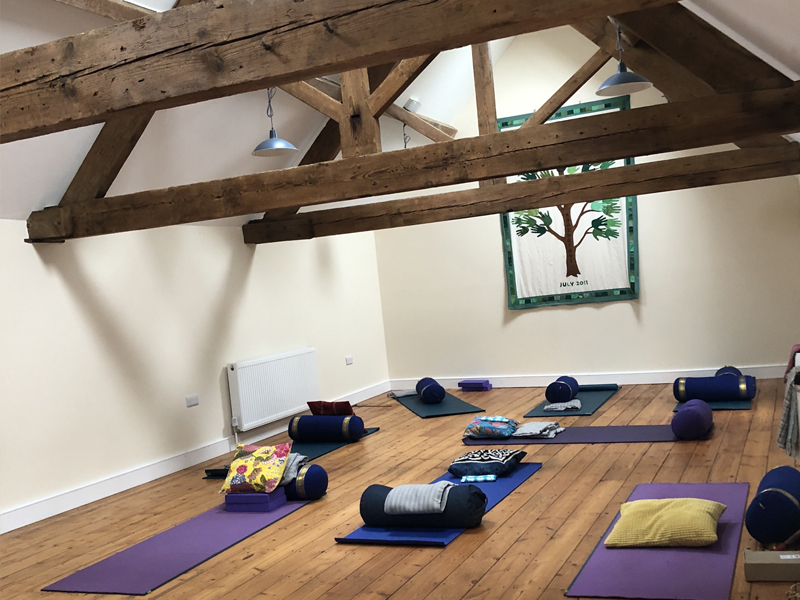 The Hayloft can also be used to hold regular or one-off book club sessions, discussion groups, choir or music practice (there is an electric piano available in the room), arts and crafts, children’s parties, photography, and much more. We are happy to accommodate a variety of get-togethers and needs, and the space can be arranged in the manner most suitable for your activity. The Hayloft is available every day of the week, from early until late. We have a keysafe system so that you can let yourself in and lock up when you leave, even outside of our office hours – this gives you maximum flexibility to run your event in the way that suits you best.